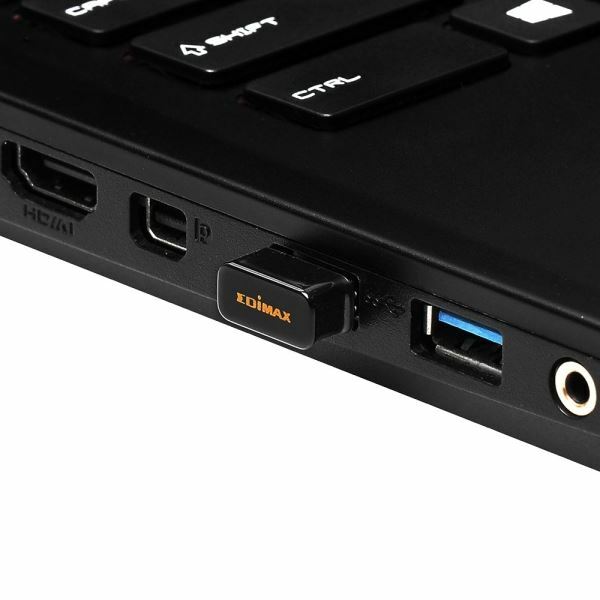 EDIMAX N150 Wireless NANO USB adapter + Bluetooth 4.0. Smart bluetooth. Backward compatible with Bluetooth 2. Easy setup wizard. The EW-7611ULB is a nano-sized 2-in-1 combo USB WiFi adapter with Bluetooth 4.0 that supports WiFi up to 150Mbps and allows users to connect to all the latest Bluetooth devices such as mobile phones, tablets, mice, keyboards, printers and more. Supporting the latest Bluetooth 4.0 version with Bluetooth Smart Ready, the EW-7611ULB offers ultra-low power consumption with Bluetooth Low Energy (BLE) while transferring data or connecting devices. With a tiny nano-size design you can easily plug it in without blocking any surrounding USB ports, for both WiFi and Bluetooth connectivity at the same time. WiFi Protected Setup (WPS) is a standard for an easy and secure establishment of a wireless network. The adapter supports software WPS-compatible configuration so your wireless network can be immediately secured with WPS-compatible routers or access points. 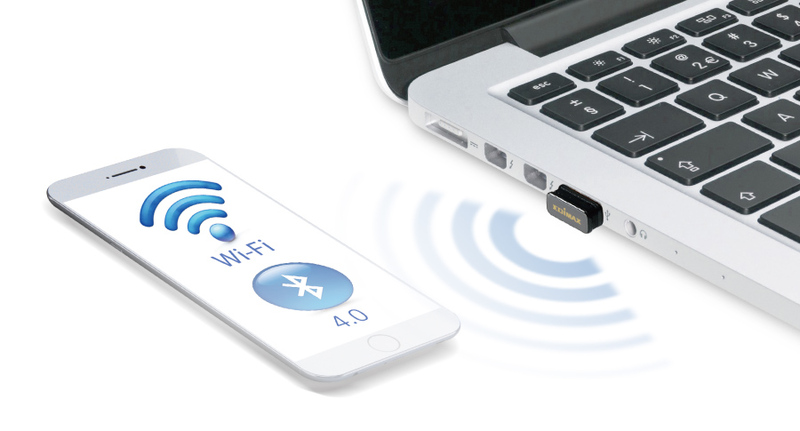 Currently the smallest WiFi and Bluetooth 4.0 combo USB adapter on the market. 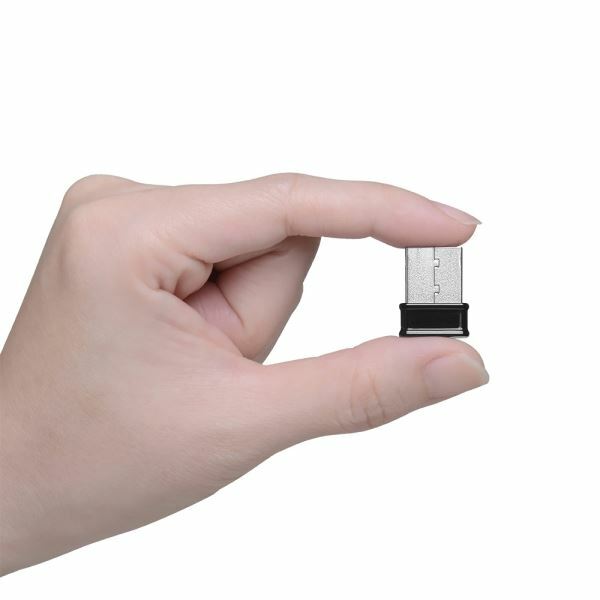 The compact design of EW-7611ULB is convenient to carry for mobile users and the snug fit protects from accidentally snapping the adapter out of place.